In Tudor times, the Calendar Year was slightly different to what it is today. The Tudors used the JULIAN CALENDAR which had been created by Julius Caesar (c46BC). It's essential principles were the same - twelve months of the year, seven days of the week, but Caesar had mis-calculated the length of the year by eleven minutes. By the late sixteenth century, the accumulated minutes over the centuries, meant that the European Calendar was inaccurate by ten days. 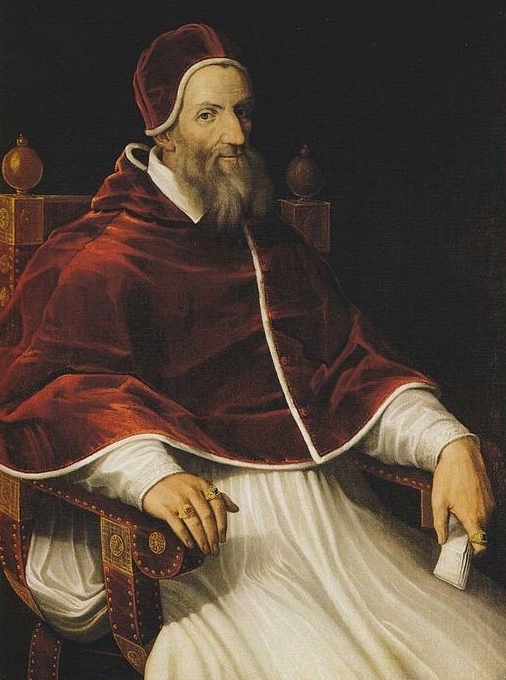 This error was observed by Pope Gregory XIII in 1582, and he decided to institute a new calendar, which would rectify the error. This meant losing ten days of that present year, and modifying leap years. The new calendar, known as the GREGORIAN CALENDAR, was adopted by most European Catholic countries. The new Calendar was not, however, adopted in England, due to the antagonism between the Catholic and Protestant powers at this time. It was not adopted in Britain until 1752. To keep in line with the European Calendar, the 3 of September 1752 became the 14 of September. The Julian calendar also celebrated the new year on the 25 March, rather than January 1st, and this continued until the Gregorian calendar was adopted. The year 1752 which had officially began on March 25, was put back to begin on January 1st. Since the adoption of the Gregorian Calendar, historical works on Tudor and pre-Tudor history have used the modern calendar in narrating dates and events. This avoids confusion. Thus, we would say that Elizabeth I was crowned on 15 January 1559, but to the Elizabethans, this would have been January 15 1558, as the year 1559 would not have started until March 25. Likewise, the months January, February and 1-24 of March 1600, would, by our modern calendar, be January, February and 1-24 March 1601. However, to the Tudors, the year of the sovereign's reign was far more important than the actual year AD, and would be incorporated into official documents. The year of the sovereign's reign was calculated from the first day that the sovereign ascended the throne. Queen Elizabeth ascended the throne on 17 November 1558, and so this would be day one, of the first year of her reign - Anno 1 Reginae Elizabethae. The following 17th of November would be the first day of the second year of her reign. To work out the year of the Tudor sovereign's reign, it is necessary to know the date of their accession, and in cases where the date has not been modified on original sources, to be familiar with when the Tudors celebrated New Year.